The Epistle to the Hebrews is one of the two greatest theological treatises of the New Testament.1 This letter is, in a real sense, the “Leviticus” of the New Testament, detailing how the Lord Jesus Christ is both the fulfillment and the successor to all that had gone on before. The extreme dilemma of the Jewish Christians—especially while the Temple was still standing—was their extreme predicament. They had been drawn from a divinely appointed religion, with divinely appointed priests officiating in a divinely appointed Temple, accomplishing a divinely ordered service, all of which had been ennobled throughout their entire history. How could believing priests and Pharisees remain “zealous of the Law”? This letter was clearly aimed at the people who were now Christians but had come out of Judaism. It focuses on the background that they came from, and tries to demonstrate how Jesus was a fulfillment of those things; in fact, he superseded those things. Jesus is the very fulfillment of the Old Testament. The author of Hebrews had three main objectives: 1) Combat possible apostasy (Heb 2:1-4; 10:19-25); 2) Encourage them to press on to spiritual maturity (Heb 5:11-14; 10:32-39); and, 3) Comfort them in their persecutions (Heb 11:1-12:3). His method was to highlight the superiority of the Messiah to the three pillars of Judaism: angels, Moses, and the Levitical priesthood. The contrasts were not between bad and good (both are from God); but between good and better. He deviates from his logical arguments to include five major warnings—which offer some interesting insights. Apollos? Some suggest that Apollos wrote this epistle, although there is not much evidence to support the theory. Furthermore, Apollos was from Alexandria, and yet even in Alexandria in the earliest times the book was associated with Paul. So, if Apollos was the author, somehow he didn’t even convince his own hometown. Barnabas? Others ascribe the book to Barnabas, but here again there is no evidence to support this theory. There are some spurious writings (that are not regarded as authentic) that were attributed to Barnabas, but their style is so different from the Epistle to the Hebrews that if one can conclude that the writings attributed to Barnabas were at all indicative of Barnabas’ style, he clearly didn’t write the Epistle to the Hebrews. Who are “The Just”? The Book of Romans answers the question (Cf. Rom 1:17). How then “Shall [they] Live”? Galatians shows how we are to live—called out of religious externalism (Cf. Gal 3:11). “By faith...” What is the epistle on “faith”? This Epistle to the Hebrews (Cf. Heb 10:38)! 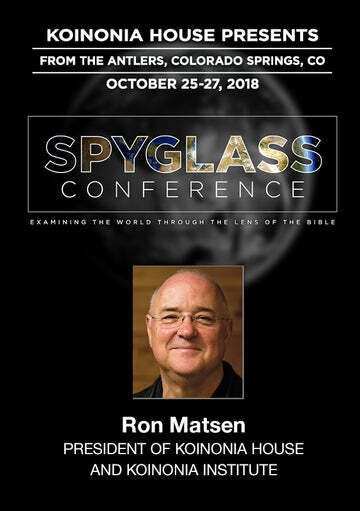 As a former systems engineer and technologist in the information sciences, I tend to favor evidences that reveal an architec-ture and integrity of design, and it is this unique characteristic of the entire Bible that has been the foundation of our ministry. In Romans 8:35-39, Paul lists a number of things that can't separate you from the love of Christ. He lists seven things, and then 10 more, for a total of 17. Paul also favored the Greek word, uio,j huios, “sons,” rather than a similar Greek word, te,knon teknon, which other writers use, which means “children.” The “witness of the Holy Spirit,” discussed in Romans 8:16 and Hebrews 10:15 also hints at a common authorship. And in Hebrews 13:18, the writer says, “Pray for us.” There is only one epistle writer that makes that specific request: none other than Paul. So if Paul did write the book, why would he keep it anonymous? From Acts 9:15 we know that Paul was the apostle to the Gentiles. While the Gentiles were his primary mission field, he also had an intense burden for his own brethren. Looking at Paul’s life, it is clear that Paul would sooner or later write an epistle to the Hebrews. Nowhere in the book of Hebrews does Paul assert his apostle-ship, unlike his other epistles, but instead he builds his entire thesis uniquely from basic Jewish arguments from Old Testament passages. He exalts Christ, not his own apostleship. Here Peter is commenting on Paul’s letter, saying that Paul had written some things that were hard to understand (indeed, the difficulties in Hebrews 6 and 10). The primary focus of this letter to believers is to press on to spiritual maturity.10 For anyone serious about their spiritual growth, both the Epistle to the Romans and the Epistle to the Hebrews are absolutely essential to thoroughly understand. Is there any priority or commitment that is more important—or urgent—in your own life? Pray about it. Chuck’s updated study on the Book of Hebrews is available on audio CD, audio cassette and MP3 CD-ROM. 1. The other most essential is, of course, the Book of Romans. 3. Rom 16:24; 1 Cor 16:23-24; 2 Cor 13:14; Gal 6:18; Eph 6:24; Phil 4:23; Col 4:18; 1 Thess 5:28; 2 Thess 3:18; 1 Tim 6:21; 2 Tim 4:22; Titus 3:15; Philemon 25. 4. Except in 2 Peter 3:18, where it is used as an instruction or exhortation and not as a salutation or blessing as here. 6. 2 Cor 1:1; Col. 1:1 and 1 Thess 1:1. 9. Cf. 1 Cor 9:20; Acts 9:15. June 2008 Personal Update News Journal.